We explain that tax certainty aims at the stabilization of expectations of both, taxpayers and governments. We propose three measures through which international cooperation can contribute to strengthening tax certainty. The first measure concerns the establishment of enhanced engagement programs that provide platforms and procedures for dialogues between large taxpayers and tax administration from an early stage of investment projects. The second measure refers to the development of model legislation as a tool for the implementation of international rules and standards. The third measure concerns the alignment of bilateral treaties and domestic legislation to international good practices. Tax certainty refers to the creation and maintenance of stable regulatory and policy frameworks for tax administration, taxpayers and tax compliance. In developed and developing countries alike, a climate of mistrust tends to exist between society at large and multinational enterprises (MNEs) relating to allegations of large scale tax avoidance by MNEs, and leading to a combative environment between the wider public, business and governments over tax policy and implementation. In developing countries, this confrontational setting is particularly damaging as many governments depend to a large degree on tax payments of MNEs. Furthermore, both domestic and foreign direct investments are affected by situations where frequent changes in tax legislation and inconsistent and sometimes coercive implementation practices in tax administrations have negative repercussions on investment risk assessments and investment financing and therefore economic growth. It is therefore essential to identify efficient processes through which mutual transparency, justified trust, better understanding of taxpayer’s businesses and thus more effective risk management can be implemented to facilitate economic growth and domestic resource mobilization. Measures to increase tax certainty aim at the stabilization of expectations of both, taxpayers and governments. From an investor’s perspective, reliable and stable tax policies and a predictable behaviour of tax administrations are important factors for doing business in a country. Thus, tax certainty is crucial to stimulate economic growth and job opportunities. From a government perspective, the willingness of companies to pay their fair share of taxes to finance public services is an important element of sound public finance systems. In this sense, tax certainty stands for the predictability of tax regimes, but also for the certainty that taxpayers will be appropriately taxed. Against this background it should be clear that tax certainty does not equal the cessation of all tax reform activities. Also, it should not be mistaken as a toolbox for individual deals between investors and governments to lower the tax burden of private sector companies. Rather, tax certainty should be understood as a common framework of rules and procedural standards geared to create a level playing field and provide long-term conditions suitable for investment. Assisting in the implementation of international rules and standards and in the adaptation of tax systems to changing business environments. The measures we propose in the following section address these issues, but are not meant to be exhaustive. Additional initiatives are needed, for instance, in the realms of tax expenditure / tax competition and tax governance. Voluntary compliance based on mutual cooperation between tax administrations and taxpayers is a key element to increase bi-directional certainty in the complex area of controlling and clarifying tax obligations. Studies show that initiatives geared towards the promotion of voluntary compliance have generated positive results (OECD 2008, OECD 2013, CIAT 2015). However, there is still a clear lack of relevant information on such initiatives, particularly on emerging and developing countries, and much work remains to be done to address concerns about the compatibility of such an approach with equality before the law. To do that, G20 can help to analyze, disseminate and improve current experiences, collaborating with the multilateral organizations that already have experience in this field (OECD, CIAT, ATAF, etc.). In particular, the cooperative compliance initiative developed in the OECD Forum on Tax Administration would allow countries to reconcile their need for stable revenues with the desire to create a fiscal climate that encourages inward investment. Although the benefits of the initiative for developing countries seem to be clear, they are not yet sufficiently informed by practical experience. Policy-oriented studies should be done on this topic, analyzing the results of these programmes, improving the organizational and technical capacity of domestic tax administrations to implement the different options, and reinforcing the compatibility between these new channels and the creation of a level playing field for all taxpayers. About increasing tax certainty in countries beyond the G20, proactive and cost efficient solutions are required that help bridge the trust gap between Government and MNEs. Enhanced Engagement Programmes (EEP) offer an opportunity to reconcile the goals of securing the tax base of countries with the need to create a more certain and transparent environment that encourages economic growth and investment, especially in a context of limited human and financial capacity. If well implemented, these programmes can be a transparent, cost effective approach for both parties. The EEP would offer a platform and procedure for dialogues between large taxpayers and the tax administration. Their main objectives would be to overcome information asymmetries at an early stage, determine mutual obligations with regard to filing, reporting, controlling and auditing, and thus lower the costs of tax compliance and tax administration. The EEP, by developing a robust relationship with large businesses based on mutual trust and transparency, would provide greater certainty to business through a cost-effective approach to dealing with tax matters, with speedy resolution of issues and clarity through effective engagement. The EEP would prioritise the most significant risks to deliver the most cost-effective way of getting the right tax agreed between both parties. From a perspective of applying such schemes to countries with limited state capacity and economic diversification, the EEP may be simpler and more practical in their application than fully-fledged cooperative compliance regimes. Usually, the EEP would start to function before the filing of tax returns and other traditional compliance approaches, like audits and risk reviews. Under such programmes, MNEs willing to provide high levels of disclosure and transparency would discuss with the tax administration their high-risk transactions and be provided with the tax administration’s views on the transactions. It is a collaborative approach that would take place before any audit, tax dispute and involvement of any tax tribunal. EEP would be a chance for tax administrations in developing countries to focus on the most relevant MNEs in terms of tax revenue. Keeping the process as lean and straightforward as possible, a limited number of highly skilled tax officials with extensive industry knowledge could generate a better output by leading these programmes. As large businesses are extremely complex, understanding the business and the environment within which they operate is crucial to the success of the EEP. As such, the programme must be underpinned by systems that ensure taxpayer confidentiality to make sure that companies are willing to provide information that is commercially sensitive. The EEP would also require tax administration officials with in-depth knowledge of different tax regimes (e.g. corporation tax, VAT, employment taxes, etc.). Businesses would be grouped by sectors to offer an accurate picture of sectoral issues and apply the EEP approach consistently. Large businesses that contribute a significant amount of tax revenue may be invited to participate in the EEP. Companies not selected by the tax administration to participate in the EEP but wish to do so would be invited to apply in writing. Their admission in the programme would be based on such criteria as their tax contribution to the fiscus, the complexity of their structure and operations, and their willingness to commit resources to engage the tax administration in the EEP. As tax administration skills are being developed domestically, countries can consider secondments from other countries which have successfully implemented EEP programmes, or can make use of the Tax Inspectors without Borders (TIWB) programme to form part of the tax administrations’ EEP teams. EEP handbooks or practical guidelines (by industry) could be developed to guide developing countries in the implementation process. This would be particularly important to ensure that the required case-specific confidentiality is embedded in a clear and transparent regulatory and procedural framework, in order to prevent collusion or other forms of illicit behaviour (e.g. aggressive tax planning, treaty shopping). When the EEP is based on such rules and proven to be successful, the tax administration could even agree to close the tax return for a particular year or specific periods from further review or audit or any other compliance activities, thus reinforcing tax certainty. In the case of high tax risks, the tax administration may further develop strategies in consultation with businesses to mitigate the risk. However, such programmes would provide that if a taxpayer has not made a full and true disclosure of material risks or the tax administration considers that there is fraud or evasion, it would have the statutory right and compulsory obligation to re-open closed years for audit. These tools assist countries in drafting more effective legislation based on international standards and best practices, but adapted to include alternative policy options to address the specific challenges faced by developing countries. Regional tax organisations have already taken steps in developing such tools. These include for example the Suggested Approach to Drafting Transfer Pricing Legislation, the African Model Agreement for the Avoidance of Double Taxation and the Prevention of Fiscal Evasion with Respect to Taxes on Income developed by ATAF. Cross border transactions by multinational enterprises raises both the risk of double taxation for the taxpayer and double non-taxation for governments. Addressing these issues which can lead to uncertainty for both taxpayers and governments is highly complex. It is therefore crucial that domestic tax legislation and Double Tax Treaties are drafted in a manner that is clear and transparent. Most developed countries based their domestic tax legislation relating to international tax matters and tax treaties on the global standards set by the OECD. The constant implementation of such standards helps to provide consistency across jurisdiction and more certainty. However, applying these standards is often very complex and challenging for tax administrations in developing countries that have limited capacity. For example, many developing countries have reported that they found it extremely difficult to apply the arm’s length principle which is the global standard for the taxation of controlled transactions (i.e. transactions between related parties). However, applying a different standard would significantly increase the risk of double taxation. The approach that ATAF has adopted in its Suggested Approach to Drafting Transfer Pricing Legislation is therefore based on the framework of the arm’s length principle but includes alternative policy options that provide some more simplified approaches to meet some of the specific challenges faced by African countries. This includes provisions to address such issues as royalty payments and pricing of commodities. ATAF is currently developing a Suggested Approach to Drafting Interest Deductibility Legislation and further tools will follow including a Suggested Approach to Drafting Permanent Establishment Legislation. Tax administrations in Africa are reporting that they are finding such tools to be very valuable in drafting new domestic legislation. Other initiatives to coordinate and facilitate legislation drafting include the CIAT Manual on Tax Collection and Recovery (2016) that serves as a basis for proposing regulatory reforms and as a reference guide on collection and recovery, based on the experiences of tax administrations in Latin America, or the CIAT Model Code of Conduct, adaptable to particular circumstances and country-specific legislative requirements. However, the technical solutions the tools provide can only be effective if the new legislation is enacted swiftly. This requires political support for the changes to be implemented, support which is not always granted for a variety of reasons. More work needs to be done to obtain that political support and raise political awareness of the importance of these issues. The G20 should cooperate with regional initiatives to increase its advocacy work so that these tools which provide a common, yet sufficiently flexible, framework for tax certainty that would be applicable in a broad range of countries have the political support to be swiftly enacted. Aligning domestic rules with international standards and bilateral treaties includes for example drafting permanent establishment rules in line with the revised wording of Article 5 of the OECD Model Double Taxation Convention. This will provide both tax administrations and taxpayers with certainty on when a foreign enterprise’s business activities in a country constitute a permanent establishment and create a taxable presence in the source country. In the context of Africa for example, countries receive bilateral assistance in this matter through ATAF’s country programmes and ATAF will be developing a Suggested Approach to Drafting Permanent Establishment Legislation for its member countries. Other tools assisting developing countries in drafting legislations that respond to their needs while adhering to international standards include the Tax Code Model and the Model Agreement on the Exchange of Tax Information developed by CIAT. The first one offers a standard for an efficient and coordinated legislation while the second promotes and facilitates the exchange of tax information among the tax administrations of different countries (upon request, spontaneous or automatic) as well as provisions for joint tax audits. Its African equivalent is the ATAF Agreement on Mutual Assistance in Tax Matters (AMATM). Countries will also need to consider introducing new provisions in their Double Tax Agreements to address treaty shopping and other forms of treaty abuse as well as introducing domestic anti-abuse legislation where appropriate. This will align both their bilateral treaties and domestic legislation to international standards. The G20 should support such regional initiatives that align bilateral treaties and domestic legislation to international good practices, with a view on implementing international agreements that seek to improve tax certainty. IMF & OECD (2017). “Tax Certainty. IMF/OECD Report for the G20 Finance Ministers”, Washington, DC: IMF. OECD (2013). “Co-operative Compliance: A Framework from Enhanced Relationship to Co-operative Compliance”, Paris: OECD. OECD (2008). “Study into the Role of Tax Intermediaries”, Paris: OECD. For the first policy proposal, implementation would require work on common standards (hand-books, practical guidelines) and the organisation of workshops to guide countries in the implementa-tion of EEPs. For the second proposal, inter-regional workshops on legislative action would be need-ed for the upscaling of existing initiatives. G20 countries need to increase their advocacy work with Ministries of Finance in developing countries to ensure political support for this legislative action. For the third proposal, additional efforts in international assistance led by G20 countries are required to support governments in their efforts of implementing new standards and regulations. 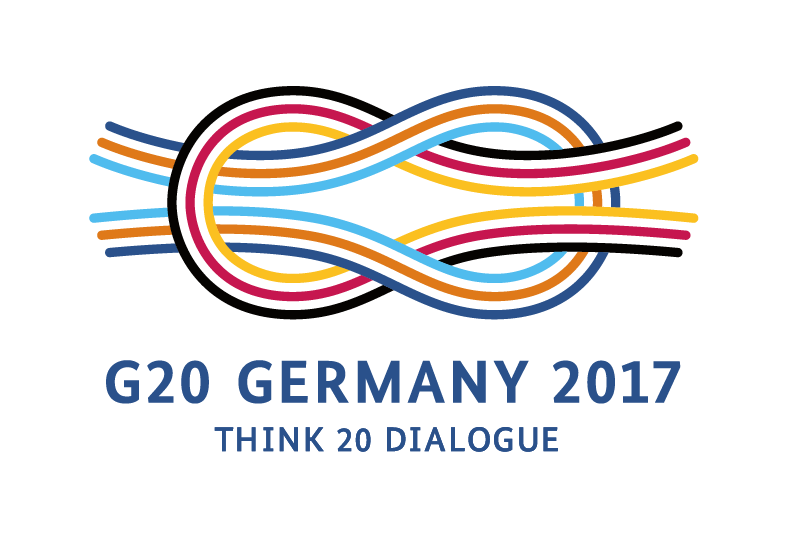 At the G20 Meeting of Ministers of Finance in Baden-Baden in March 2017, the IMF and the OECD presented a joint report on tax certainty that includes a summary of existing evidence along with a list of recommendations and proposals for next steps to be taken by the G20 and the OECD member states. The report was acknowledged by the G20 Finance Ministers, who encourage governments to voluntarily consider the tools proposed in the report. OECD and IMF are asked to assess progress in enhancing tax certainty in 2018. Regarding Enhanced Engagement Programmes (EEP), similar models that exist around the world include: the HM Revenue & Customs’ (HMRC) Customer Relationship Manager (CRM) model, the Inland Revenue Authority of Singapore’s (IRAS) Enhanced Taxpayer Relationship (ETR) Pro-gramme, the Spanish State Agency for Tax Administration´s Large Companies Forum and the Australi-an Tax Office’s Annual Compliance Arrangement (ACA). These models are based on efficient compli-ance risk management systems which identify the taxpayer’s needs and the risks they pose, and aim to positively influence their behaviours. They categorise taxpayers with regard to their responsibilities and behaviours and thus enable the tax administrations to tailor their responses accordingly. Regarding the development of model legislation, regional tax organisations have already taken steps on developing such tools. At the end of 2016, for example, ATAF provided a tool titled “A Sug-gested Approach to Drafting Transfer Pricing Legislation”. This is based on the framework of the international standard of the arm’s length principle but includes simplification policy options such as a cap on the level of royalties paid to related parties that will be tax deductible to address abusive profit shifting. An African Model Tax Convention, which combines the most appropriate elements of the OECD and UN Model and adds some options to address the specific challenges faced by African countries, was also developed by ATAF. It is called the ATAF Model Agreement for the Avoidance of Double Taxation and the Prevention of Fiscal Evasion with Respect to Taxes on Income. CIAT activi-ties on tax collection, models of conduct, tax code, exchange of information, etc. have been cited in the text above and are available to tax administrations as a reference for legislation reforms.